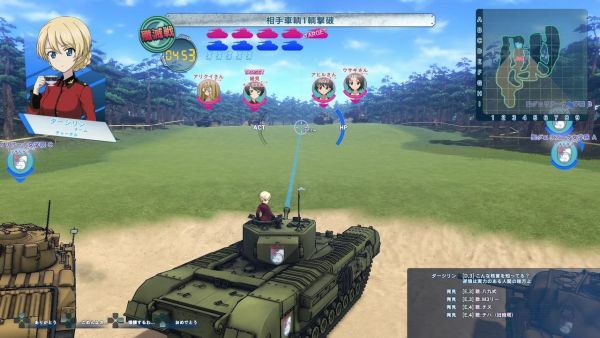 A look at the Golf Course and Ooarai Streets stages. 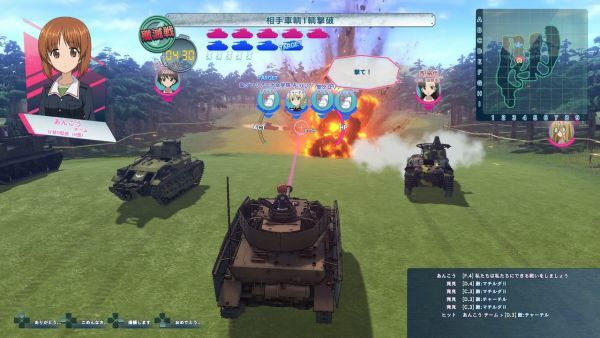 Bandai Namco has released new information and screenshots introducing the beginning of the “Post-Mortem” story mode included with its upcoming Girls und Panzer: Dream Tank Match for PlayStation 4. Each character looks back on the story of the movie from their own perspective. 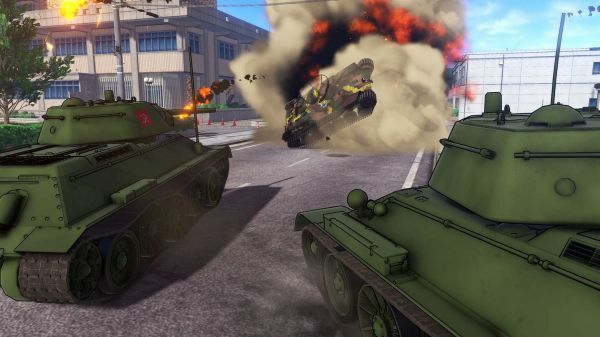 Today’s update will introduce the beginning of the story. 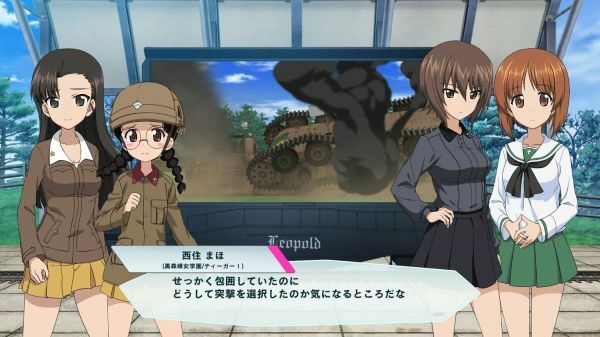 In efforts to create a promotional video that compiles all of their battles to date, the girls of Ooarai Girls High School call upon the characters that appeared in the movie to look back on its battles. 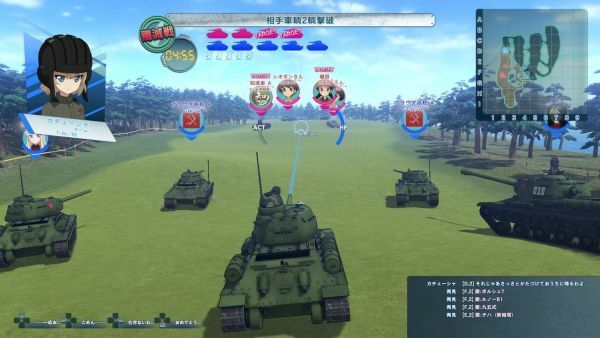 Chi-Ha-Tan Academy and Ooarai Girls High School cornered St. Gloriana Girls High School, which possesses flag tanks, and the battle became a deadlock. 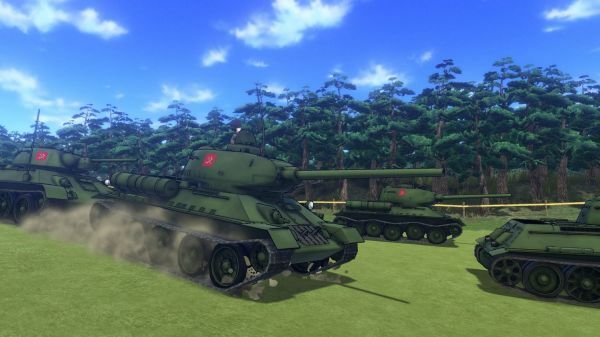 However, Chi-Ha-Tan Academy’s tanks commence an assault…? 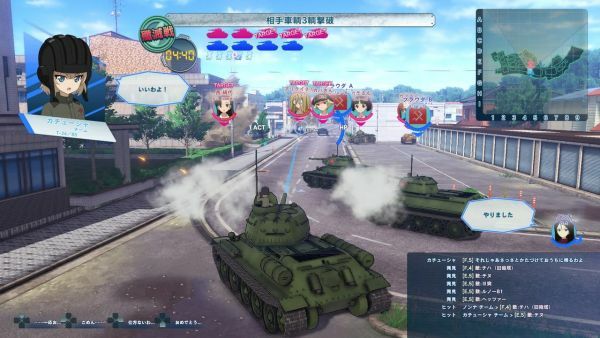 Pravda Girls High School and St. Gloriana Girls High School were invited to appear before Ooarai Town Hall. 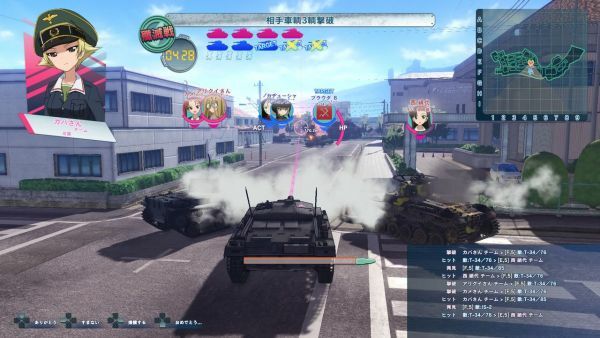 They are temporarily successful at preventing advancement against the attacks of Ooarai Girls High School and Chi-Ha-Tan Academy, who are fighting in the shadows of the buildings, but are forced to retreat due to a difference in fire power. 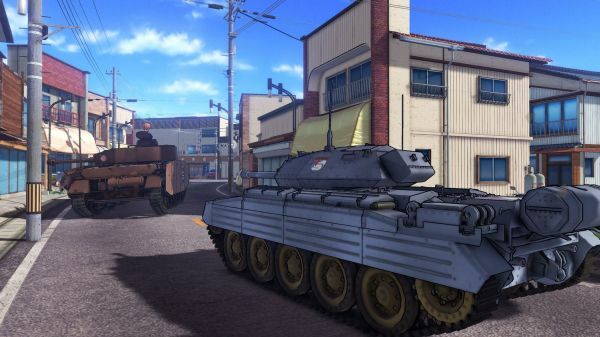 And behind the Panzer IV Ausf. 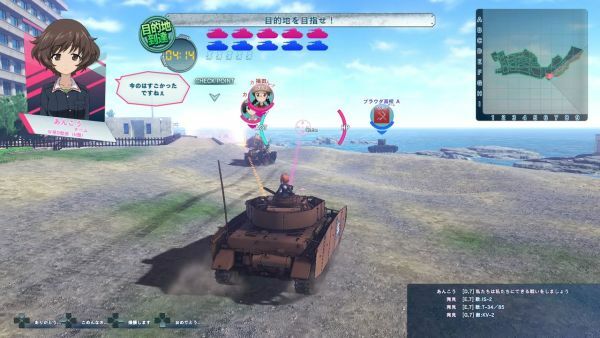 H (Ausf. 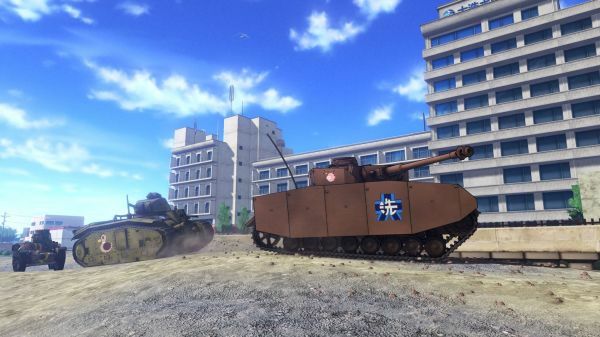 D Revised), driven by Miho, Rosehip’s Crusaders are approaching.